Nose: Initial attack of peat dissolves into sweet candied orange peels and very ripe tropical fruits. Caramel, fudge, damp earth with grassy tones with toasted nuts. Finish: Short to medium long finish with rum notes taking over and ending lively with sweet raisins. Let’s be honest! Experimental production has now become something and serious whisky connoisseurs started to question what the heck is happening in the whisky world. Is it really experimenting around taste and quality to achieve maybe a new style in whisky world? Or is it just making the most out of NAS (Non Age Statement) thing? It is always going to be an arguable topic but we can always taste and see which is good or not. 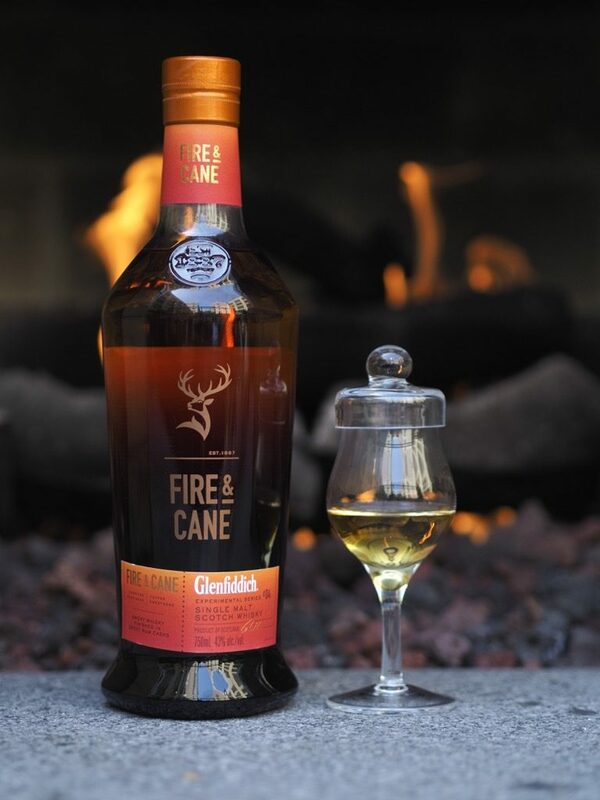 Glenfiddich’s Experimental Series now has the 4th expression released, which is named ‘Fire & Cane’ that is explained by a ‘campfire smokiness and toffee sweetness’. Glenfiddich did bring out a peaty whisky matured in ex-Bourbon casks (which they seldomly do) and finished it in Latin style Rum casks, which had a blend of the Caribbean and South American rums. 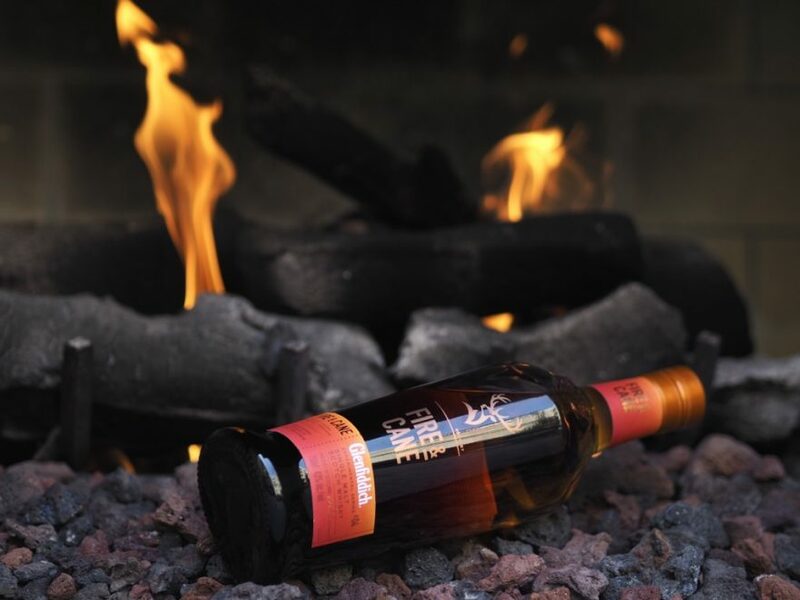 Frankly, I was hopeful about Fire & Cane when I first heard about it since those were the days when I tried Balvenie 14 Peat Week Vintage 2003, which is an incredible peated whisky. But at the same time I was also thinking what I stated in the first two paragraphs. The moment I first tried it, bottle behaved like an old dusty antique box and released the harsh peat. The imminent peat attack milds down and blends with the sweet notes. Palate ism fun to try, it is rich with rum notes and peated background with almost soft skinned tropical fruits. If we talk about age, I would guess that this is around 8-9 years old and peat is mild around 5-8ppm (after distillation I mean). What I decided after 3 days of tasting, smelling, photo shooting is that, with its price of $50 this bottle can be a fun bottle to sip as a daily peaty whisky, play around in cocktails for smart bartenders and finally of course a really good passageway whisky for those who keeps themselves away from peaty whiskies for now. Could it be extraordinary with some older whisky? Most probably. Will they do it? May be?